Enjoy a full range of car rental Sharjah options by filling in our search form! 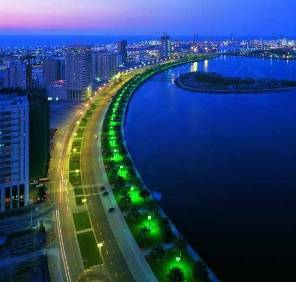 Explore amazing views of the modern Sharjah with affordable car rental! to choose from wide variety of the best car rental deals to fit the bill! to forget about all automobile stuff and make your trip to UAE a memorable event! Choose the most suitable Sharjah car rental location, get acquainted with Must Know and look through the Places to Visit with car rental Sharjah! Sharjah is the third largest and most populous city in the United Arab Emirates, forming part of the Dubai-Sharjah-Ajman metropolitan area. It is located along the northern coast of the Persian Gulf on the Arabian Peninsula. The city covers an approximate area of 235 km². Sale, Consumption or Transportation of Liquor is strictly prohibited in State of Sharjah and punishable by Sharjah Law. In residential areas, speed limits can be as low as 40 Km/h. A cross between Oxford and Disneyland, this sprawling and somewhat surreal campus is artificially greened, with splendid fountains, expansive lawns and flowerbeds galore. Its architecture is truly stunning and it's a popular stop on most expat's visitor sightseeing tours. The city is unlike anything else in the country and is a sign of the importance placed on higher education in the UAE. It's 15km from the centre of town where you can get using your car rental Sharjah. Drive with your car rental vehicle about 26km east of central Sharjah towards Al-Dhaid, Sharjah Desert Park packs four venues into a one-square-kilometre package. The main attraction is the Arabian Wildlife Centre, a zoo and breeding centre showcasing the diversity of critters that call the region home. The indoor aviary is home to flamingos, Houbara bustards and Indian rollers, while the outdoor enclosures house hamadryas baboons, striped hyenas, Arabian wolves and the splendid Arabian leopard. Come here by your car rental Sharjah to visit this fascinating museum which is housed in an elegant building set in manicured gardens, next to the Science Museum near Cultural Sq. The displays, accompanied by audiovisual interpretations, cover the earliest archaeological finds in the emirate (dating from 5000 BC) up to the present day, including coins, jewellery and weapons. The beautiful historic buildings in the Heritage Area, have been carefully restored and faithfully reconstructed using traditional materials such as sea rock, coral, and gypsum. Get your car rental vehicle and first visit the imposing Al-Hisn Fort, with its fascinating historical exhibits inside, before making your way to the atmospheric Literature Square and the House of Poetry. 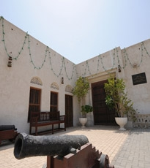 The splendid Bait Sheikh Sultan Bin Saquer al-Qassimi is a traditional house with wind towers set around a courtyard. Inside are wonderful displays of traditional costumes, jewellery, ceramics and furniture. You will be able to get here very fast on your car rental vehicle! Don’t miss this place of interest! 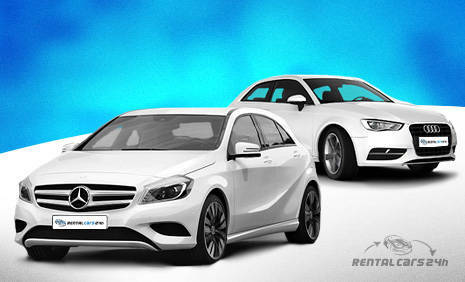 RentalCars24h.com offers you reliable car rental Sharjah services that will help you to feel free and independent when moving around the town. Providing best online prices for car hire Sharjah services, RentalCars24h.com allows you to save money each time when you rent a car in Sharjah.